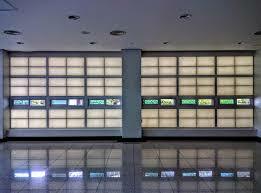 Are you looking for the best Brooklyn commercial garage doors company around? There are plenty of different forms of maintenance and work you may need done on your garage doors. If you need a top name in garage doors to come get some work done, look no further than Advanced Door. We’ve worked hard since 1998 to become known as “The Professional Garage Door Company” and we can do exactly what you need with exceptional quality. Here are some of the convenient services we offer. Installation – If you need your first set of Brooklyn commercial garage doors or just decided you want to start fresh, we’ve got you covered. We can install doors of all different kinds – from wood to glass and everything in between, we’ve got it. Repair – Over time, your garage door will begin to wear down and you’ll need some repairs done. Advanced Door offers high quality repairs that will leave your doors looking good as new. Preventative Maintenance – Have you heard the saying, “The best offense is a good defense”? This is certainly true when it comes to garage doors as it is with many things. The best way to avoid a sticky situation or surprise work needing to be done is to have your garage doors regularly maintained. This will certainly help to prevent various kinds of mechanical failure that may leave you in a bind. 24/7 Emergency Service – Sometimes no matter how much preventative action you take, emergencies happen. From accidental physical damage to mechanical failure, Advanced Door will be there when emergency strikes. 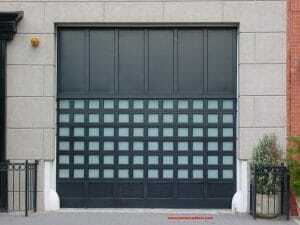 Do You Need a Professional Brooklyn Commercial Garage Doors Company? When it comes to Brooklyn commercial garage doors, there’s no better name to trust than Advanced Door. From emergency services to new door installation, they’ve got you covered. Advanced Door will work at the convenience of your schedule to minimize downtime for your business. As “The Professional Garage Door Company,” they’ve got your back. For more information on their services, contact them today! Taking proper care of your Chelsea commercial garage doors can be a challenge. The list of things that can break or malfunction is long and there’s no way you can be expected to know how to handle it all. When things start to go wrong, you need to find a professional garage door company to handle it. That’s where Advanced Door comes in. By approaching all of our work with excellence and a desire for 100% customer satisfaction we’ve become known as “The Professional Garage Door Company.” Here are some of the services we offer. Looking for a Professional Chelsea Commercial Garage Doors Company? Whether you need new Chelsea commercial garage doors installed or just some maintenance, Advanced Door is the company for you. Our operation hours are Monday – Friday from 7A.M. – 5P.M. For information on the services that we provide, contact us today or visit the website! Your business can definitely benefit from a well maintained garage door. It is probable that it’s one of the first things that potential customers notice. 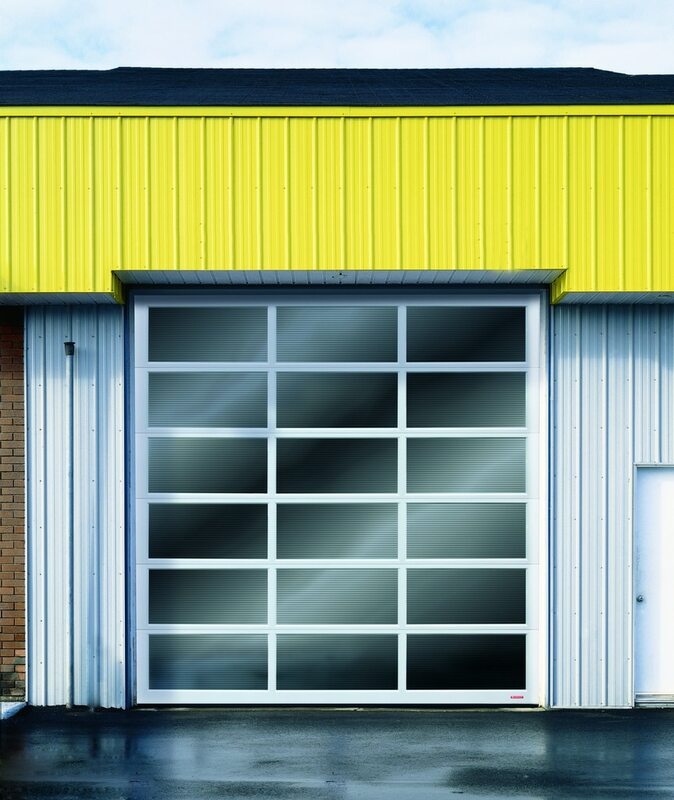 Manhattan commercial overhead doors tend to be larger than residential types so they will quickly stand out. When a garage door is used often it endures a lot of wear and tear, but quality components will help to ensure that it passes the test of time. We have over 45 years of experience in residential, commercial, industrial and automatic door repair. 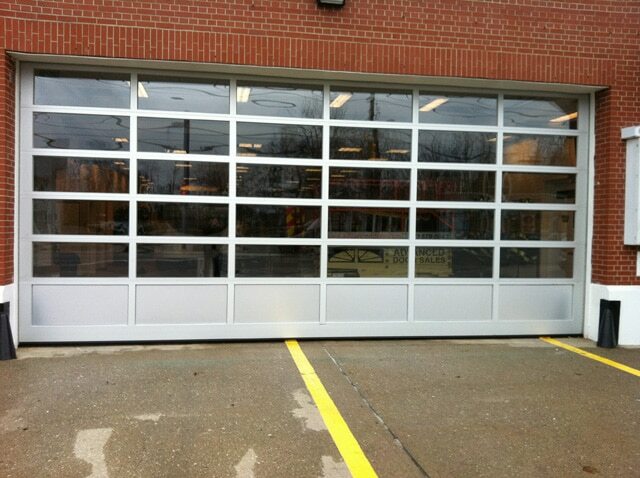 Chose Advanced Door today for the best prices on Manhattan commercial overhead doors. Damaged motor – every type of motor has a lifespan, so you shouldn’t be surprised if your door stops working at some point. You may notice signs before it quits completely, so call a technician. Twisted tracks – due to repeated use, garage door tracks can weaken and begin to warp. Misaligned tracks can cause problems every time the door is used, so they will need to be replaced. Broken torsion spring – the torsion springs do the heavy lifting, so without them, opening the garage door will be difficult. This can seriously hamper you operations. Check these springs for rust and other signs of damage. Since Manhattan commercial overhead garage doors do more work than residential doors, regular checks are necessary. This will help to prevent delays which can drive up your costs. Talk to a specialist with experience in dealing with these types of doors. Any change in the way the door operates should be reported right away. The Manhattan commercial overhead garage door should on the maintenance list for every business. With this type of equipment, spending a small amount now means avoiding major repairs later. If a replacement of the door or any component is recommended, it is best to follow that advice. The warranty you get should provide some additional peace of mind. Invest in the best garage door and associated equipment to keep your repair costs low. If you are in need of a technician or are looking to fix one of your problems, contact us today! We have over 45 years of experience in residential, commercial, industrial and automatic door repair. We have competitive garage door prices. Advanced Door is a full-service contractor providing quality service to residential, industrial, and commercial clients in New York, New Jersey, Pennsylvania on a primary basis with service and installations across the entire United States. Here at Advanced Door, we believe that proactivity helps productivity and taking good care of your door is essential for its life and performance. There are several measures that a person can take to assure that their Brooklyn commercial overhead doors work properly for the longest time possible. Below we will talk about 2 things you can keep an eye on to help your door work properly and for longer time. Advanced Door is fully capable of servicing any project from the smallest to largest available. We provide the finest products and service in the industry, We Are “The Professional Garage Door Company”. We are dedicated to serving our customer’s needs, and our goal is 100% customer satisfaction. We strive to bring you the best in quality service. If something isn’t right, please let us know. The most important and probably the easiest thing a homeowner can do is to lubricate any and all moving parts, but not all moving parts need the same kind of lube. Rollers and hinges are the first things to begin to ware and all they need is oil; nothing fancy, just plain oil. Some rollers have no ball bearings and consist of a plastic roller that rides on a metal stem. They are installed on most new doors and work pretty well if they are oiled three or four times a year, but if you are like most folks you have more on your mind than dealing with cheap rollers. Another very important thing to check is if the door is properly balanced. It is recommended to begin with the door in the closed position. If the door is connected to an operator release it by pulling down on the cord that is connected to the release lever. Raise the door about half way up and if it will stay there without shooting up or falling to the floor it is probably doing pretty good. Do you need help checking your Brooklyn commercial overhead doors? 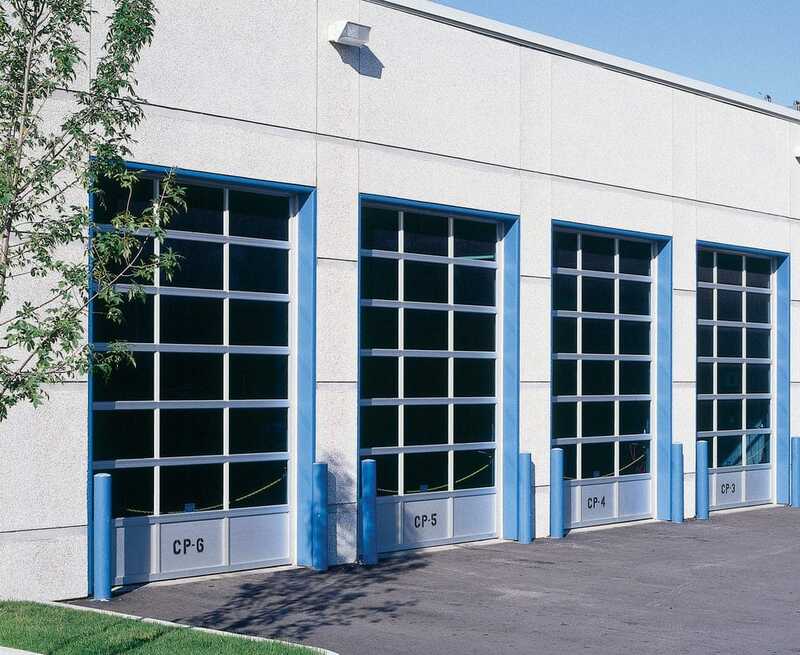 Trying to keep your Brooklyn commercial overhead doors in good shape is not a difficult task but if you find that you prefer a professional to do it, don’t hesitate to call Advanced Door today! We have over 45 years of experience in residential, commercial, industrial and automatic door repair. We have competitive garage door prices. Advanced Door is a full-service contractor providing quality service to residential, industrial, and commercial clients in New York, New Jersey, Pennsylvania on a primary basis with service and installations across the entire United States. When it comes to the home or to your business, we know that looks have a lot of weight when it comes to the decision of “do we buy it or no?” It is not a surprise that most consumers are attracted to the elegance of wood or the extraordinary design of glass garage doors. When it comes down to choosing, most chose Manhattan aluminum garage doors. Although the other materials have many fans, it is not a coincidence that most people would end up buying metal garage doors. Advanced Door has a variety of styles to chose from. Contact us today to help you chose what options are better for your case. We have over 45 years of experience in residential, commercial, industrial and automatic Manhattan aluminum garage doors! The panels made of steel would erode over the years. Remember that Aluminum cannot be painted. Also aluminum doors are very lightweight and this is not always a good thing — the soft material can be dented easily.But just like most things, aluminum doors have both pros and cons. Metal is not a good insulator on its own but since it is not a natural material, it can be processed accordingly. Steel garage doors are strong and can usually withstand the force of fierce winds and hurricanes. Aluminum doors do not require too much maintenance. Aluminum will never rust or be affected by temperatures. Steel would, but there are amazing coatings on the market which can be applied on the panel for extra protection. Steel can be painted in any color you want anytime. Are you in need of Manhattan Aluminum Garage Doors? If you are looking for practical and reliable Manhattan aluminum garage doors look no further! Advanced Door has over 45 years of experience in residential, commercial, industrial and automatic door repair. Advanced Door is a full-service contractor providing quality service to residential, industrial, and commercial clients in New York, New Jersey, Pennsylvania on a primary basis with service and installations across the entire United States. Contact us today for help with your project and visit us online to look at out portfolio! !